Pham Thanh Toan burst like a phenomenon onto the contemporary art scene of Saigon in 2018. Born in 1992, Toan exhibits a preternatural confidence and ability with his bold, over-sized canvases. He first exhibited at CTG in 2018 and we will be taking a collection of his work to Los Angeles in late 2019. 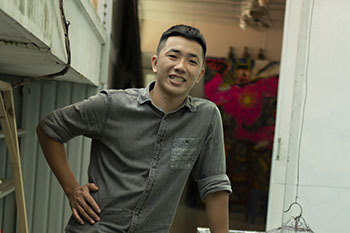 The Happening was conceived as a chance to give Saigon art lovers another look at this exciting young artist’s latest work before he begins preparations for his LA solo show. CTG will be writing a lengthy essay on the artist and his practice but have drafted some basic questions below to start the process of properly introducing this wunderkind to those who do not yet know much about him. Where were you born and where did you grow up? What are your earliest childhood memories? When was the first time you composed any kind of art? When did you first know that you wanted to be an artist? Out of all the paintings you have painted so far, do you have one or two paintings that you are especially proud of? 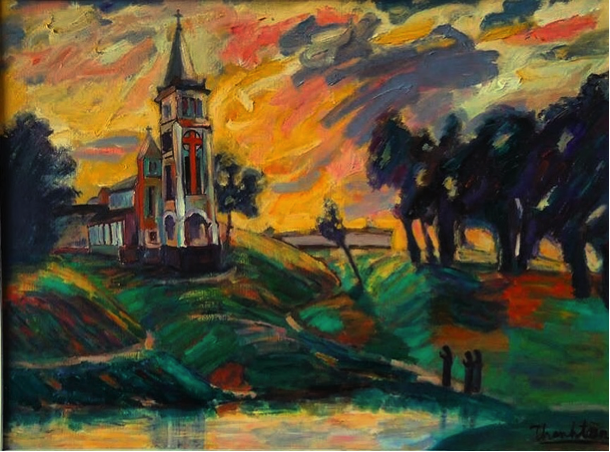 “The first painting that I always remember is ‘The Afternoon Bell.’ It was memorable because it was the first painting I painted in at the fine arts school. It also had a story that two-thirds of the teachers in the school did not believe I painted it since I was in the first year at that time. So the teachers did not mark it thinking that there was someone else drawing it for me. I had to do another painting while bearing suspicious looks from my friends as if I were a sinner; at least that is how it seemed to me at the time. Later on, my teachers apologized for not believing me. I then got the absolute highest score for the redrawn painting. You seem to have a very good knowledge of art history that I don’t think you picked up just from your studies at the Fine Arts University. How did you gain so much knowledge? Do you continue to do research and how does this affect the work you are doing? Do you know where you would like your career to be in the next 5 or 10 years?